Of course, this is an incredibly easy salad and barely needs a recipe. 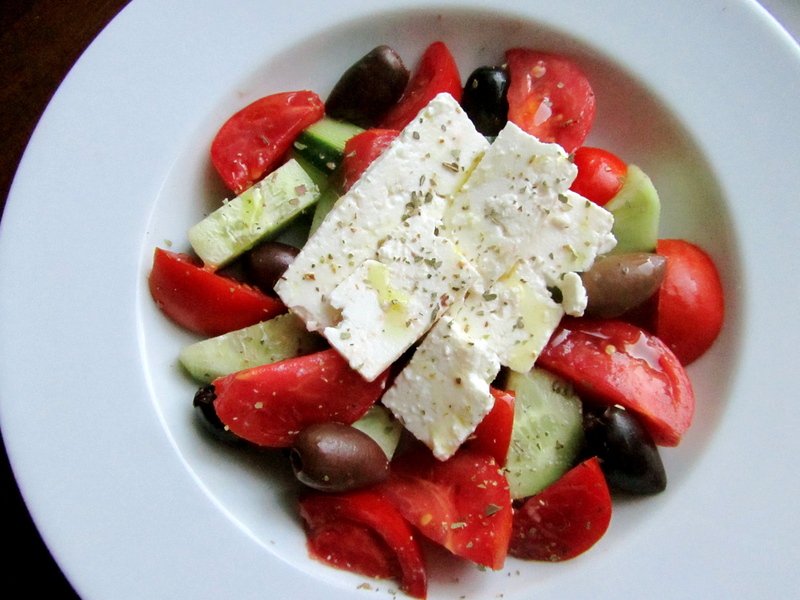 What makes this good is the quality of the ingredients (namely, feta and olives) that you buy. I thought I hated olives before we went to Greece, but when I tried them there my palate was transformed. Look for Kalamata olives in a jar (imported would be best), and see if you can get feta at your local cheese store. Otherwise, it’s kind of sad but true — usually, the most expensive feta at the grocery store will be the best. Good luck. Combine tomato, cucumber, onion, and peppers (optional) into two bowls and make sure they are evenly mixed around. Top with 6 olives each and 1 oz feta (cut into cubes or thin slices) each. Sprinkle with oregano and drizzle with olive oil. Try not to get addicted! * This recipe will make two side salads. Just adjust the quantities of everything if you are looking for more! 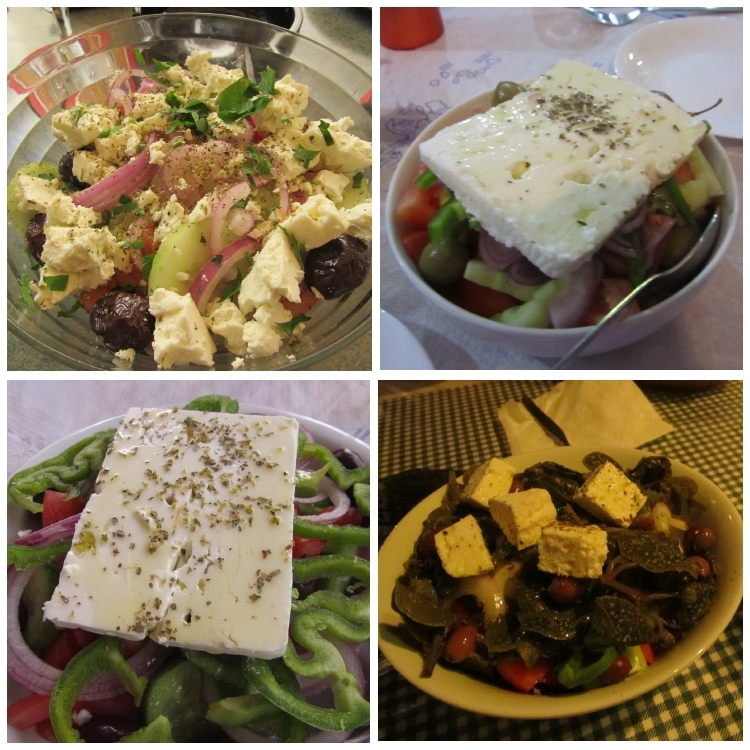 This entry was posted in salad, sides, Sweet Life Laur Original, vegetables, vegetarian and tagged Greek salad, healthy, salad, vegetarian by Laura Zolnoski. Bookmark the permalink.